Dogecoin Gets It, Everyone Else Doesn’t. Cryptocurrencies and I have a sordid history. It began with me comparing BitCoin to a pyramid scheme, pointing out the issues that were obvious to many casual observers and receiving some good feedback in the process. Over time I became more comfortable with the idea, although still lamenting the volatility and obvious market speculation, and would go as far to say I was an advocate for it, wanting it to succeed in its endeavours. Then I met the community, filled with outright hostile individuals who couldn’t tolerate any criticism and acted like they were the victim of the oppressive government regime. I decided then that I wouldn’t bother blogging about BitCoin as much as I had done previously as I was just sick of the community that had grown around it. Dogecoin, for the uninitiated, is a scrypt based cryptocurrency (meaning that it’s a memory-hard based currency, so the ASICs and other mining hardware that BitCoiners have invested in is useless for mining it) which bears the mark of the Internet meme Doge. The community that sprung up around it is the antithesis of what the BitCoin community has become, with every toxic behaviour lampooned and everyone encouraged to have fun with the idea. Indeed getting into Dogecoin is incredibly simple with tons of guides and dozens of users ready and willing to help you out should you need it. Even if you don’t have the hardware to mine at a decent rate you can still find yourself in possession of hundreds, if not thousands, of Dogecoins in a matter of minutes from any number of the facet services. This has led to a community of people who aren’t the technically elite or those looking to profit, something which I believe led to the other cryptocurrency communities to become so toxic. I myself hold about 20,000 Doge after spending about a week’s worth of nights mining on my now 3 year old system. Whilst I haven’t done much more than that it was far, far more than I had ever thought about doing with any other cryptocurrency. My friends are also much more willing to talk to me about Dogecoin than Bitcoin with a few even going as far to mine a few to fool around with on Reddit. Whether they will ever be worth anything doesn’t really factor into the equation but even with their fraction of a penny value at the moment there’s still been some incredible stories of people making things happen using them. For most of its life though the structural issues that plagued BitCoin where also inherent in Dogecoin, albeit in a much less severe manner. The initial disparity between early adopters and the unwashed masses is quite a lot smaller due to Dogecoins initial virility but there was still a supposed limit of 100 billion coins which still made it deflationary. However the limit wasn’t actually enforced and thus, in its initial incarnation, Dogecoin was inflationary and a debate erupted as to what was going to be done. Today Dogecoin’s creator made a decision and he elected to keep it that way. One of my biggest arguments against BitCoin was its deflationary nature, not because it’s not inflationary or whatever argument people think I have against it, more that the deflationary nature of BitCoin encouraged speculation and hoarding rather than spending. Whilst the inflation at this point is probably a little too high (I.E. 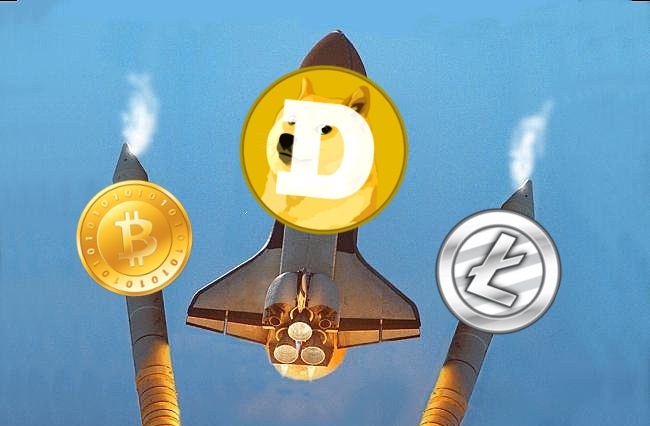 the price instability is mostly due to new coin creation than much else) it does prevent people attempting to use Dogecoin as a speculative investment vehicle. Indeed the reaction from a lot of those who don’t “get” Dogecoin have been lamenting this change but in all honesty this is the best decision that could be made and shows the Dogecoin creators understand the larger (non-technical) issues that plague BitCoin. Will this mean that Dogecoin will become the cryptocurrency of choice? Likely not as with most of these nascent technologies they’ll likely be superseded by something better that addresses all the issues whilst bringing new features that the old systems simply cannot support. Still the fact that there has been an explosion in altcoins shows that there’s a market out there for cryptocurrencies with feature sets outside of what BitCoin provides. Whether they win out all depends on where the market wants to head. Maybe You Just Need to Innovate. There’s been many times when I’ve caught myself with some kind of random idea for a product, service or whatever that I’ve quickly thrown on an ever growing pile of ideas. It doesn’t seem to take long for that one idea that I’ve had to turn from something I thought that I only thought of to someone else’s business venture upon which time I curse myself for not following through on it. Granted many of these ideas have been kicking around in my head for years without them coming to fruition and my recent attempts to develop one of them has been quite the eye opener, showing me that ideas are great and all but implementations are still king. This is one of the biggest challenges that anyone will come up against when trying to develop a product or service: someone has already done it before. In this world that thrives on innovation being the first to market with a new widget is a powerful force and almost guarantees you the lion’s share of the early adopter market. The problem here is though that being first to market with something means one of two things: either you’re creating a market that didn’t exist before (see Apple and Nintendo as good examples of this) or you’ve seen an established market and noticed something sorely lacking, which pits you against established players in this space. In both these cases if you’re just starting out at being an entrepreneur your friends, family and potential business partners will more than likely shoot a skeptical eye your way telling you that there’s no way it could work. For the most part they’re right, in a traditional business world starting from scratch is a pretty risky business and whilst the jury is still out on how you can judge failure rates of new companies it’s no secret that you’re more likely to fail than succeed. To an investor a business plan that builds on proven methods will look a lot more attractive as there’s a much better chance that they’ll get a return on their money even if it would be smaller than something that could be perceived as a higher risk. Consequently this has the effect of stifling innovation for certain high risk ventures, although that trend is starting to change. In the tech industry at least this can be attributed to investors gaining back the confidence they lost in the tech industry back in the dot com bust. After the crash many investors sought more stable investments (and look how that turned out!) and shied away from funding what looked like high risk ventures. As a consequence many hungry start up founders started to make do with a lot less and this drove a phenomenal amount of innovation. Primarily this was to attract their once bitten investors back into the fray and the last couple years has seen the resurgence of the high tech start up craze that we lived through only a decade ago. For those looking to lash out into the world of tech start ups this means that for any idea that you might have you’re going to be compared to those who’ve come before you. That doesn’t necessarily mean that you’re destined to fail, it just means that you’ve got your work cut out for you if you’re looking to make an impression in the tech world. Innovation in this fast paced tech world is the name of the game and whilst any market you may care to get into (hats off to you if you manage to create one) may appear to be completely saturated that doesn’t mean you can’t succeed in that space. It all comes down to how you differentiate yourself from the pack. Maybe this blog post is more for my benefit than anyone else’s as I’m currently staring right down the barrel of trying to attempt such a feat myself. The location space is heating up like crazy and all the large players in other spaces are already integrating location based services into their current offerings. Initially this was a boon for me but I’ve come to realize it first as a hindrance to me progressing my core functionality (Oh another information feed with co-ordinates in it, better integrate that one too!) and secondly as another blow against a product I’m looking to deliver. Realistically though I know what I want to do is different enough from every one else to warrant at least an attempt to make it successful and should it fail I’ll be that much wiser about the whole process, ready to try over again with yet another idea. Inspiration Lost: NASA and the Future of Humanity in Space. Everytime I think I’m losing my interest in space something always comes along to bring me right back into that almost dream like state I first had when I decided that leaving this blue marble was my lifetime goal. Whether it be pictures from the Hubble Space Telescope, a few readings from the Mars Exploration Rovers or even a discovery that might one day lead us faster than light travel I can’t doubt myself for more than a day before I reminded of the beautiful, complex and ever changing universe that we live in. It is my fervent hope that I can one day instill such passion in a wide majority of the world, and the beginnings of that are contained in this blog. Tyson echos a sentiment I’ve held for quite a while now. Born well after the initial space race and in the remote location of Australia I was cut off from the world of space for a very long time. My earliest memory of having anything to do with space was a night of astronomy when I was about 8 years old, seeing a bright red dot through a large contraption I had no understanding of. It would be another 4 years before my next brief experience of space when I saw Mission to Mir on the IMAX screen in Sydney. After then I can not think of one experience I had with space until a couple years back, when I discovered my passion for space and all things to do with it. After the dizzying heights that were reached when NASA was formed to win the space race it has taken a slow downhill course to irrelevance. No longer are they charged with pushing the boundaries of what we are capable in space, more they are responsible for a very expensive transport business with a small dabbling of science on the side. This is why they are no longer the inspiration they once were, every they do is routine. For decades now NASA has been in a position to cast off its routine duties and begin clawing at the edges of space, just like it did so long ago. We have the chance to do so much yet such a comparatively small cost is too great for those who have the ability to pay for it. Maybe I’m just nostalgic for a time that I didn’t live through, but after going so long not knowing about the tremendous benefits that NASA and its projects brought to our world and then finally discovering them I can’t help but feel that the everyman is in the same situation. As a species we seem so focused on the immediate problems of our world that we tend to forego looking up and seeing the direction we should be moving in, leaving us only to tread the paths we’ve been down before. It would seem that collectively we’re incapable of drastic change over a prolonged period of time. The point remains however that should NASA axe its human space program that it will become irrelevant in the public’s eye. Whilst we have had a tremendous amount of success with robotic exploration missions they fail to grab the attention of the everyman as they can not identify with them. Whilst I lament the idea of flag planting missions they serve to inspire the generation of their time to achieve such lofty goals which, if continued over an extended period of time, leads to a feedback loop of epic proportions. Had NASA continued along the same path as it did when it was first created there’s no telling where we would be today, but there’s no use dwelling on the past. Despite this we are on the cusp of another revolution in space which the fledgling private space industry is responsible for. We have so many companies that are now willing to do the job that only NASA was capable of just a decade ago that soon NASA will have no choice but to give way to them. Once they have done this they can refocus their efforts on pushing the limits of technology like they once did and hopefully see them return to their rightful spot as the most inspirational government organisation mankind has ever seen. Just that thought alone is enough to keep a dreamer like myself going even when NASA seems to be going through the darkest times. My thanks go out to my friend Glen for linking the video that inspired this post. In essence Wave is a wrapper around many different modes of communication such as email, twitter and instant messaging with augmentations that allow for some creative ways of interacting with the flow of the communications. This by itself isn’t a revolutionary means of transforming communication but due to Google’s idea of open sourcing the majority of the code and having a wealth of APIs developed this will allow the market to drive the innovation, and that is where the true revolution can begin. Looking over it I couldn’t help but notice a trend that has been developing over the past few years when it comes to technologies like this. On the Internet we have access to such wide and disperate sources of information that it is easy to become overwhelmed when you’re trying to filter out everything you don’t want to see. Many technologies have tried to solve this issue by allowing you to aggregate your personal choices into one interface (things like RSS feeds) in the hopes to focus your experience. Wave is Google’s attempt to transcend all the mediums and bring them onto a more robust and open platform which is not only a boon for them but also for standards based development, something that the Internet has been lacking for a long time (thank you Internet Explorer!). Space, No Longer the Government’s Frontier. With the cost of space travel so high and the benefits lacking real monetization strategies few private companies have made a lot of progress in this realm without the backing of government agencies. Whilst there is a considerable amount of activity in the low earth orbit realm for telecommunications, geo-spatial and meteoric industries these are all concerned with doing things once they’re up there. There are only a few companies who dare recreate the infrastructure that the governments have invested so heavily in. One company I’m constantly impressed with is SpaceX, founded by the the co-founder of Paypal Elon Musk. He took a very coroprate look at the space industry and came to the conclusion that the majority of the costs incurred were bureaucratic, and sought to solve that problem. Incidentally he’s right on the money, since the Shuttle has about 13,500 staff required to keep the shuttle operational. SpaceX on the other hand operates with about 600 currently, with only about 25 dedicated to launch and 6 forming mission control. That in itself is an achievement especially considering that after 3 failed launches they managed to get their fouth rocket into orbit. Here’s a pretty awe inspiring video taken from one of the on board cameras. They must be doing quite a few things right since NASA has selected them to take on the resupply missions once the the shuttle goes into retirement. I must say it couldn’t go to a better company as these guys are really on the cutting edge when it comes to rocket technology. Another company I’m impressed with is Bigelow Aerospace. Founded by chain hotel giant Robert Bigelow they took an interesting step in purchasing the rights and patents to the Transhab design created by NASA. It was a disappointment that NASA never got to build one of these modules (as they would’ve proven an invaluable way of increasing our space living volumes) however it was a big win for the private industry. They haven’t been sitting on their hands with these plans either as they already have two habitats in orbit right now. They’ve even contracted SpaceX to make a Falcon 9 for their third launch, which is match made in heaven if you ask me. It’s an interesting time for the space industry. We’re seeing the transition from what used to be a government only endeavour to a flourishing industry filled with pioneers who are building on the success of the people before them. With the help of other companies like Virgin Galactic who are popularizing space for the masses the market can only get larger for companies like this which will hopefully bring the cost of space travel down to the everyman in the near future. I know I’ll be waiting with bated breath.